the scheduling of trades, the management of costs and quality assurance,” Mr. Ford says. He also offers general contracting services for those who have already finalized the blue prints and a building site. Finally, he offers leasing options on Dancor-built properties for those customers who prefer leasing over ownership. Mr. Ford is considered an expert in the areas of commercial real estate, investment properties and estate development. On a daily basis, he is responsible for developing lands, building industrial and commercial buildings for sale or lease, handling strategic planning and management, creating and targeting design elements, and improving the team’s performance. 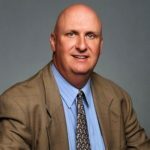 As an active member of his professional community, Mr. Ford is affiliated with the Toronto Construction Association and the Canadian Construction Association. Looking to the future, he intends to continue offering top-of-the-line construction services throughout Canada.